Washington, DC – US Representative Elijah Cummings, the Democrat chairman of the House Oversight Committee, said there’s a “good chance”, the panel would call on individuals Michael Cohen, Trump’s former lawyer, mentioned during his testimony on Wednesday. If they were named by Cohen, “they have a good chance of hearing from us”, Cummings told reporters on Thursday, adding decisions have yet to be made by Democrat leadership whether individuals would be called, and whether for private interviews or public hearings. This could include US President Donald Trump’s son, Donald Jr, as well as former Trump CFO Allen Weissleberg. 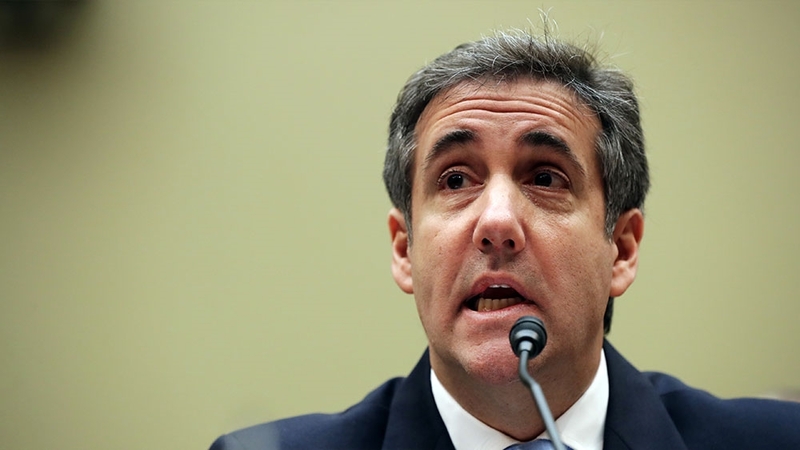 Cohen gave an explosive testimony before the House committee on Wednesday, labelling Trump a “racist”, “conman” and “cheat”. He named Weisselberg as a key player in the scheme to payoff adult film star Stormy Daniels and presented the committee with a repayment cheque signed by Donald Jr and Weisselberg. “If there were names that were mentioned, or records that were mentioned during the hearing we are going to take a look at all of that. I still need time to go through methodical, just like I did when I practiced law, we will go through and figure out who we want to talk to and we will bring them in,” Cummings said. During the seven-hour hearing, Cohen also said that Trump lawyers Jay Sekulow and Abbe Lowell falsified his White House-approved statement to Congress about negotiations to build a Trump Tower in Moscow during the 2016 campaign. In a statement, Sekulow called Cohen’s comments “completely false”. Last year, Cohen pleaded guilty to lying to Congress about the Trump Tower negotiations. He also pleaded guilty to fraud and campaign finance violations. He was sentenced to three years in prison. That sentence is set to begin in May. During Wednesday’s hearing, Cohen said he was present in Trump’s office when Roger Stone called then-candidate Trump to advise that Wikileaks planned to dump hacked emails of then-presidential contender Hillary Clinton. Without directly mentioning Cohen’s specific comments about the alleged conversation, Stone said Cohen’s “statement is not true”. Cohen also named a number of other Trump Organization employees during his testimony. Trump called Wednesday’s hearing “fake” and accused Cohen of “lying in order to reduce his prison time”. But the president also said that he was a “little impressed” that Cohen told the committee that there was no collusion between the Trump campaign and Russia. During the hearing, Cohen said he had “direct evidence” that Trump or members of his 2016 presidential campaign colluded with Russia to get Trump elected. That’s the main question of Special Counsel Robert Mueller’s investigation, which Trump has repeatedly labelled a “witch-hunt”. “I wouldn’t use the world ‘colluding’,” Cohen testified. “Was there something odd about the back-and-forth with President Putin? Yes, but I’m not really sure I can answer that question in terms of collusion,” he said, adding, however, that he had his “suspicions”.